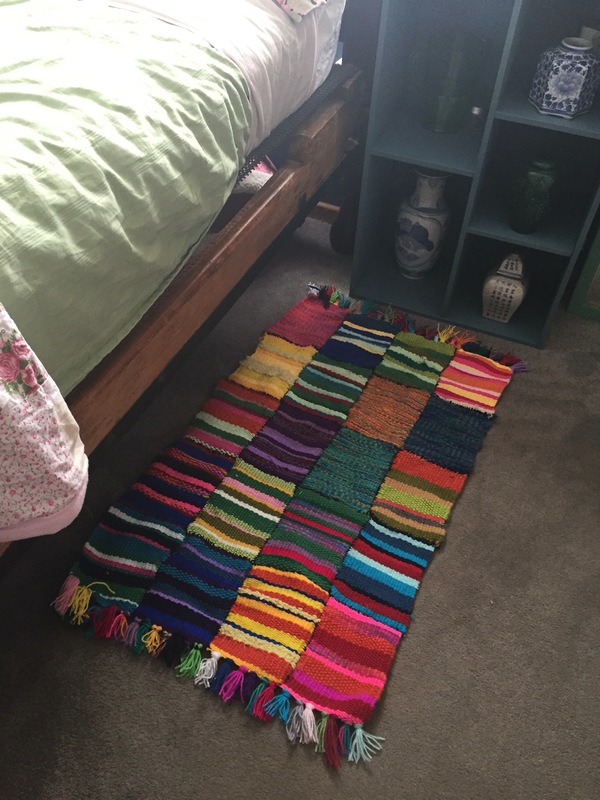 Four or five months ago I started weaving stripy rectangles to make a rug. As happens every so often, the project stalled back there and has been pretty much used by the cats to sleep on in the studio. 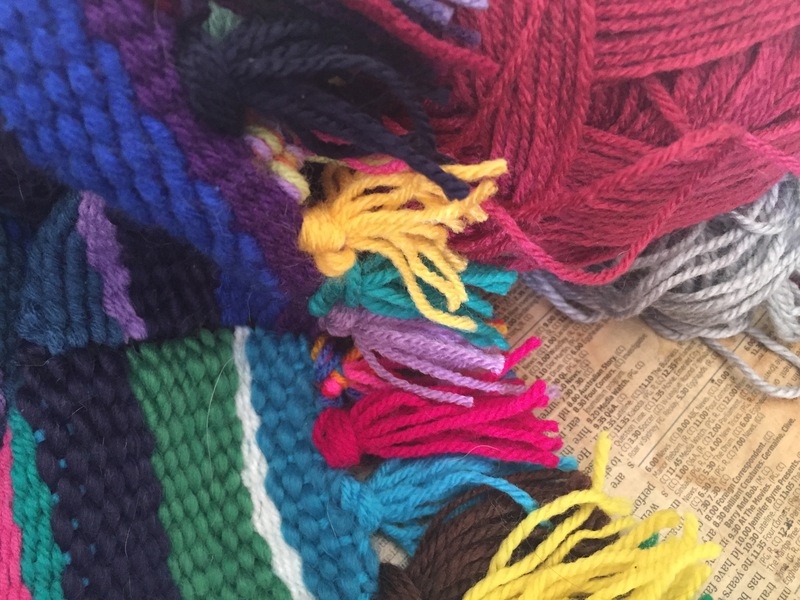 Then I made a multicoloured fringe of tassels at either end. Better still, I’ve finished it! I hate having unfinished stuff lying around the studio reproaching me for my short attention span. 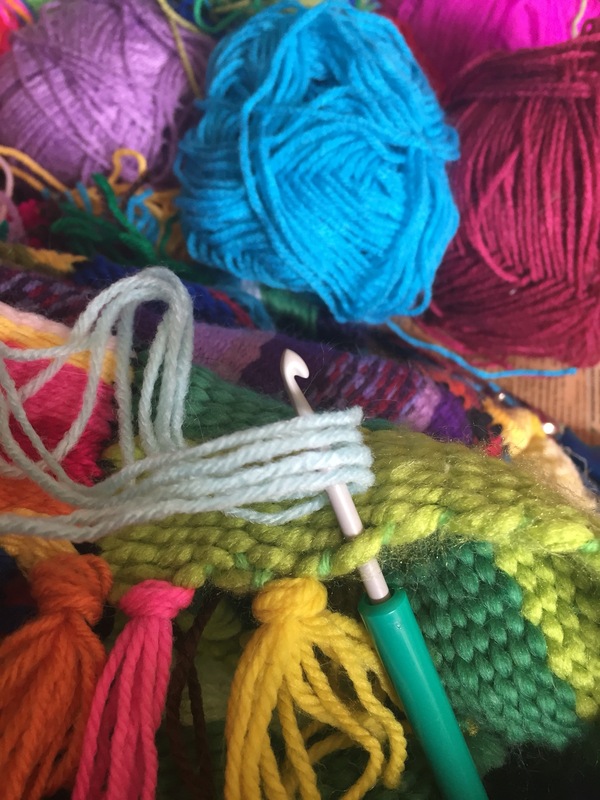 This entry was posted in Craft Projects, Home DIY and Decor and tagged carpet, color, colour, floor, Rainbow, rug, weave, weaving, wool, woven, yarn. Bookmark the permalink. That is gorgeous! Is it still a cat magnet? Your kitties would look beautiful on those colors. It’s a total cat magnet-you can see the pulled threads already from over-enthusiastic kneading by Snowflake!